If you want to get away from the city life or your planning on your vacations but you have problems finding the perfect destinations for your needs, what can you do? With the development of smartphones, these days there are many travel apps that can make a travel choice for you. How to pick the proper app to help you find the best destination? No worries, we looked and we found an app that is highly helpful and practical for these purposes. Let’s discuss about it. What is Placeful City Guides - Local Food, Drinks & Music exactly? This traveling app is one of the best choices every travel lover can make to get more entertaining and exciting traveling experience. The app is developed for IOS users, easy for using, giving the users all the information they need to pick the perfect travel destination. Every travel destination on the app has a guide created by locals in that area, giving them the chance to experience the local life of their favorite destination. Highly helpful and practical app for every person that needs to choose destination that will satisfy their needs and wishes. 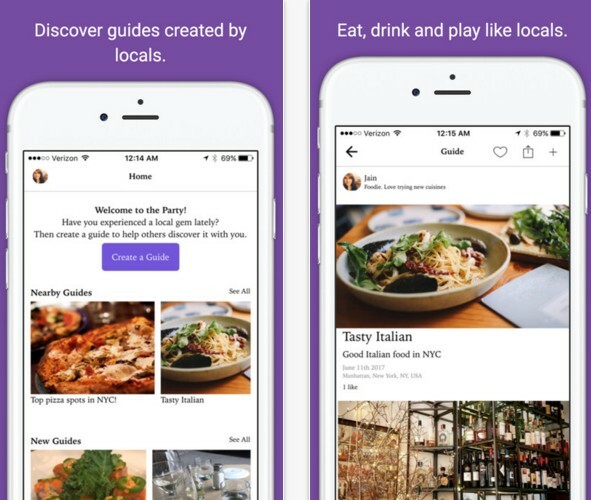 With the option for searching through guides handpicked by locals in that areas, the users can get a look of the local place they want to visit and learn how to spend their time there. Also, as a user you will be able to save favorite destinations you find on the app for any future traveling you are planning to do. Beside of the searching for destinations the users can create themselves their guides of their favorite places and help other users to find easier what they are looking for. Download the app on App Store now for free.